Thoro continues to seek affiliations and certifications that are consistent with its company standards and ethics. The following certifications and affiliations are in place to ensure we are maintaining the highest levels of social and ecological responsibility for ourselves and our customers. 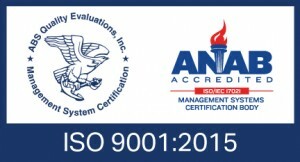 Thoro is ISO 9001:2015 certified. Thoro Packaging is certified by ABS Quality Evaluations, Inc., internationally recognized for their assurance of product management systems and excellence. This certifies that Thoro’s quality management system meets the strict requirements of ISO standards. ISO Certification provides you the assurance that the products manufactured by Thoro Packaging will meet your expectations and requirements. Thoro Packaging manufactures all folding cartons using 100% wind power. Through natureOffice, Inc, Thoro purchases enough certified renewable energy credits (REC) to offset all energy used by our facility. This REC purchase guarantees that an equal amount of renewable energy is delivered to the electric grid and provides additional revenue to help keep existing renewable energy wind power projects operational, while also growing renewable energy markets. The folding cartons you purchase from Thoro make a positive impact on the environment, and help to protect natural resources. You can print the Wind Power logo on you cartons to communicate to your customers your commitment to sustainability. Thoro is FSC® Certified. This certification from the Forest Stewardship Council® (FSC®) guarantees that all paperboard sourced by Thoro comes from well managed forests. By creating demand for products from responsibly managed forests, FSC® is helping protect forests for future generations. In fact, today, more than 40,000 American family forest owners are FSC® certified. When we purchase products with the FSC® logo, we are saying to the landowner, “thank you for taking care of your forest.” Thoro customers can also choose to use the FSC® logo on their packaging made from certified board, to communicate to their customers their commitment to environmental sustainability. By purchasing cartons made from FSC® certified paperboard, you are helping to protect forests. Thoro Packaging is a G7 Master Printer, and all presses are G7 certified or compliant, from proof to printed sheet. Thoro uses the most modern technology to calibrate all presses to match, and implements process controls to ensure that the proof matches the printed piece, and that any color corrections can be adjusted before going to press. This guarantees that your colors will be matched every time, from proof to printed sheet. Thoro offers eco-friendly printing with vegetable inks. 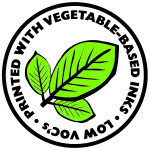 Vegetable-based inks are made with renewable resources such as soy, linseed, and corn. From production of the raw materials through the disposal or recycling of the finished product, the negative impact on the environment is significantly minimized. Thoro Packging is SFI® Certified. Thoro obtained certification in accordance with the Sustainable Forestry Initiative® (SFI®) Chain of Custody Standards. SFI Inc. is one of the world’s largest forest certification programs, and it is internationally recognized and accepted. This certifies that the process by which certified paperboard products are verified come from properly managed, sustainable sources. Your cartons produced with SFI® certified paperboard can be printed with the SFI® logo, to communicate to the end user your commitment to environmental sustainability. Thoro complies with current good manufacturing practices (cGMP). Thoro uses 100% Low VOC Solvents, resulting in CLEANER AIR. 100% of Thoro’s solvents have 100 grams per liter or less of VOCs. The industry standard is over 500 grams per liter. Thoro Packaging offers carbon neutral printing. Thoro has partnered with German based natureOffice, through their USA program, to offer our customers the option of certifying their print jobs as carbon neutral. Carbon neutral printing reduces greenhouse gas (carbon dioxide) emissions; decreases the use of raw materials, shipping and energy consumption; and reduces toxic waste. Each certified job is assigned a unique tracking number. You can print your certification number logo on your cartons to communicate to your customers your commitment to the environment. Thoro is a member of the Paperboard Packaging Council (PPC), the leading trade association serving suppliers and converters of all forms of paperboard packaging. The PPC works to grow, promote and protect the paperboard packaging industry, educating government and the public on benefits of paperboard packaging. Providing tools and resources for members and their customers, the PPC also offers free licensed use of the Paperboard Packaging Recyclable logo. You can print the Paperboard Packaging Recyclable logo on your cartons informing your customers that your packaging can, and should be recycled. Thoro is a Green Power Partner. The Green Power Partnership is a voluntary program that encourages organizations to use green power as a way to reduce the environmental impacts associated with conventional electricity use. The Partnership currently has more than 1,400 Partner organizations voluntarily using billions of kilowatt-hours of green power annually. Partners include a wide variety of leading organizations such as Fortune 500® companies, small and medium sized businesses, local, state, and federal governments, and colleges and universities.